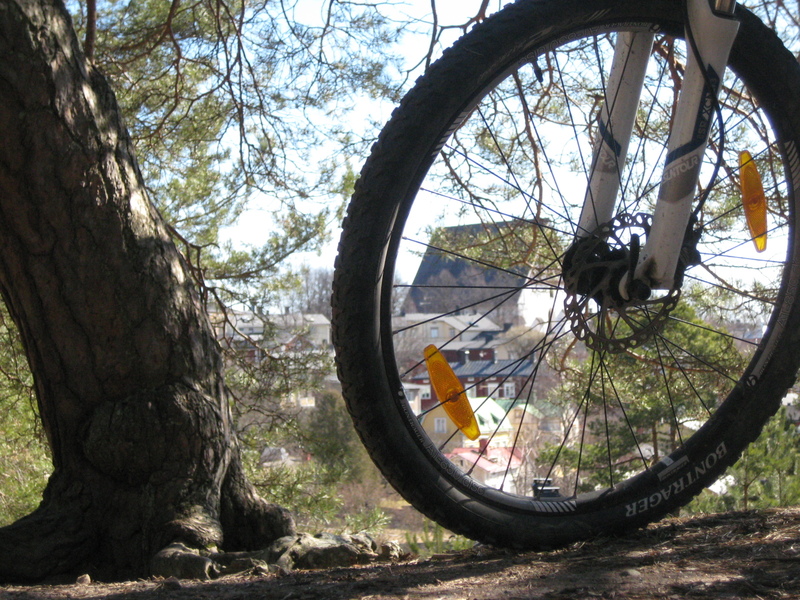 Catching glimpses of Porvoo with a camera has to be a blogger’s favourite pastime. And rightfully! 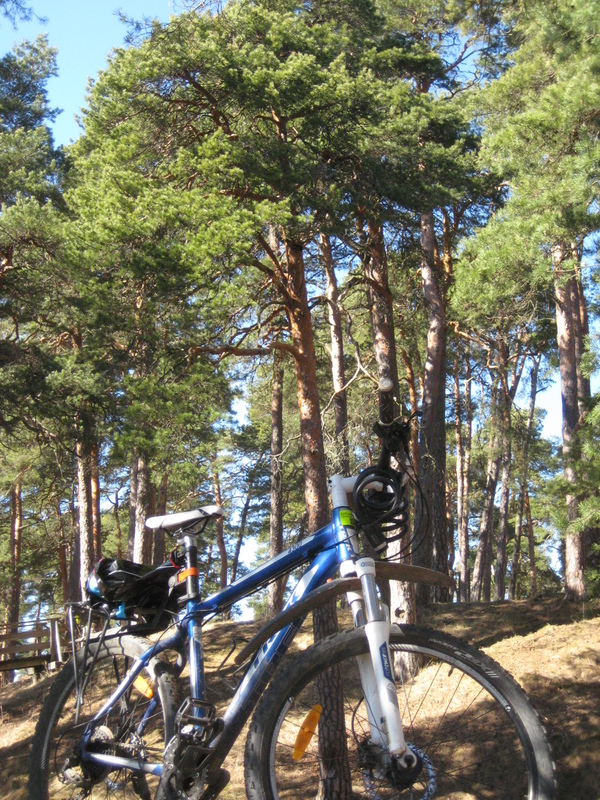 Strolling around on the cobblestones or wandering in the centuries-old pinewoods in the vicinity of the old town has an amazing soothing effect. 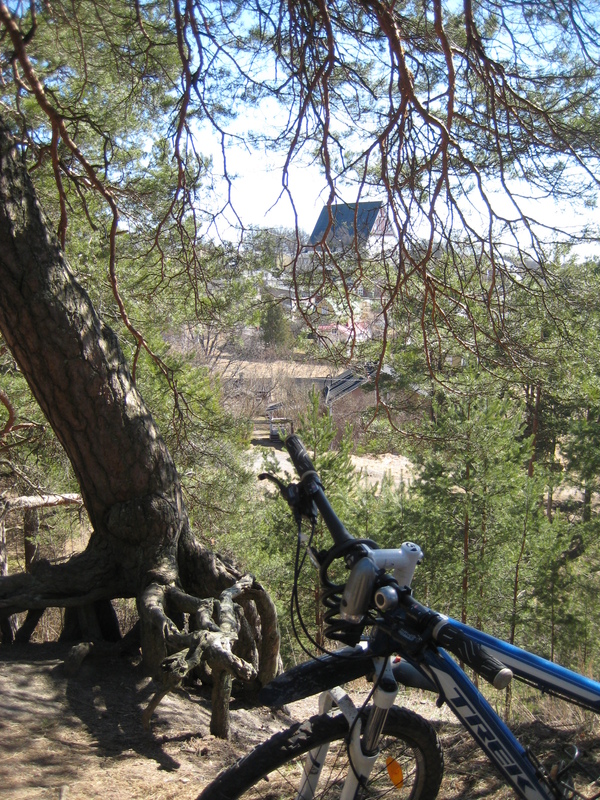 Last Monday I went for a biking tour in the surrounding woods of Castle Hill (Linnamäki). By the way not to be confused with Castle Black, for those of you out there reading and watching GoT 😉 Going up and down with a mountain bike is a nice way to work out in open air and enjoy the panorama at the same time. After those years I’ve lived here I like to re-discover the city in spring; there a strange yet familiar beauty about Porvoo which never ceases to surprise me. The word Linnamäki has actually given its name to the city of Porvoo, as it suggests a place where people from abroad mainly from the Baltic countries, Sweden and Germany came to trade with the people living north of the river in the early medieval times. This castle was ideally built at the junction of the sea and the river. The name of the town itself in Swedish, called “Borgå”, reflects that particularity. In Swedish the words “Borg”(= castle) and “Å” (= river) were combined to designate that place of trade. A good deal has been written and said about the history of Porvoo. Just go here to read a short English version. 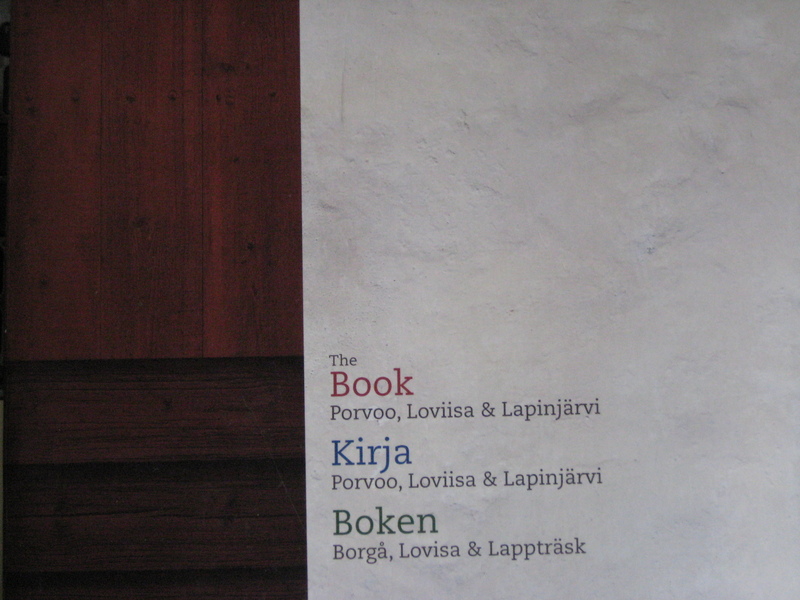 Or you may want to purchase “The Book” compiling files and facts about cities of Porvoo and neighbouring towns Loviisa and Lapinjärvi. Interestingly “The Book” features the three languages at the same time. So while reading a part of the 324 pages, even though you concentrate on the English text, you may get your attention brought to the Finnish or Swedish version telling the same story on the same page. Maybe that could explain why the book was well received from the general public and the press alike. It stands on a good place in my shelf in any case! Here you can read about “The Book”. What about you? How do you celebrate May Day in your country or town? 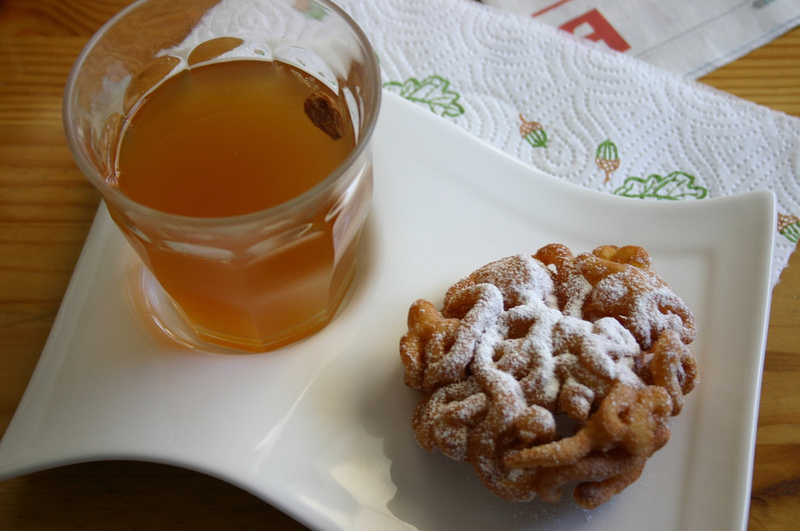 Do you also enjoy particular food on that day? Posted in "Up and down the hills"